Be yourself, because everyone else is already taken. This is the theme written throughout the realistic fiction book, Into the Wild Nerd Yonder; yet in a less serious and incredibly witty way. With every written sentence, Jessie; the girl out of all of her friends who is most likely to actually do her homework, comes face to face with every high-school problem you could think of. 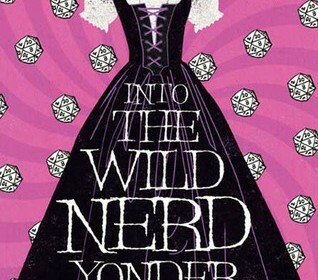 Hilariously funny, Julie Halpern, the author of Into The Wild Nerd Yonder, tells a story of Jessie; an honor student entering her sophomore year in high school. On the other hand, her somewhat “bestfriends”, Bizza and Char, completely recreate themselves into cigarette smoking punks, and one of them shaves her head and begins hitting on Van, a guy who Jessie has been crushing on forever. With newly punk-makeovered comrades, Jessie tells the reader about her crush (who smokes more than he breathes), her dear older brother, who is leaving for college and is somehow dating the homecoming queen, her transition into nerdhood with her new Dungeons and Dragons fanatic acquaintances, and much more. All 245 pages of this book by Julie Halpern are the best that I have ever read. This author’s writing style is to leave the reader hanging on a cliff, then help them right off the cliff a couple pages after. The last sentence of every chapter compelled me to read on, just so I could see what Jessie would approach next. For example, after reading about Jessie’s geeky friend, Dottie (who is actually dottie), and finding out that she thinks of herself as the “dragon master” of dungeons and dragons, propelled me to read just one more sentence, even if it was midnight. Julie Halpern also faintly discusses the need to be so different and “rebellious” that some teenagers might feel through the change of Bizza, and Char. This hysterical author shapes each word in every sentence into an amusing comment; something that anyone could love. She has an amazing sense for humor and an even better sense for creating a fully engaging yet quirky and comical story. Highly recommended.